There's nothing like fall in Colorado. We camped out in late September on a very chilly night. 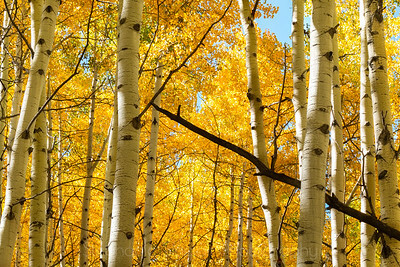 I remember that sense of wonder coming over me as I stood in this aspen stand as the light turned everything golden. The Moment... This is why I take photographs. This is why I take photographs. Black Canyon of the Gunnison, Colorado I have this as a 12x24 on glossy metal. 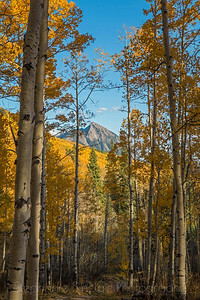 Crested Butte, Colorado fall 2015. Such a gorgeous place! An afternoon in a mountain hamlet. This is one of my favorite photos of the trip. :D You can crop, mat, frame or have a backing applied according to your needs in the cart. The crystal clear Crystal River in Marble, Colorado. What a beautiful place in autumn! Colorado...an incredible road trip with this final sunset. You can crop, mat, frame or have a backing applied according to your needs in the cart. Incredible fall color in Colorado! This aspen grove captivated me for hours. This is a lighter exposure. The darker exposure is bolder. Metallic paper or glossy metal or acrylic recommended. Incredible fall color in Colorado! This aspen grove captivated me for hours. This is a lighter exposure. The darker exposure is bolder. Metallic paper or glossy metal or acrylic recommended.